This package is exclusively for Shimla. Package covers 4 Nights and 5 Days. Tour Operator will arrange a A/C Volvo bus to transfer you to Shimla from Delhi. Overnight in A/C bus. On the arrival at Shimla, check in at hotel. This is the time for relax and enjoy youself. Afternoon get ready for half day city tour. You can visit Indian Institute of Advanced Studies, Sankat Mochan Temple and Jakhu temple. 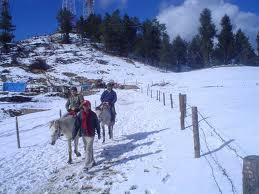 In the evening you will get time to stroll in the famous shopping place of Shimla town-The Mall and the Ridge. Dinner and overnight stay at hotel. After the morning breakfast, proceed a visit to Kufri and Mashobra and return back to hotel at afternoon. You can enjoy yourself or make shopping at your own cost. Dinner and overnight stay at the hotel. After the breakfast in hotel and checkout at 12 pm from the hotel. 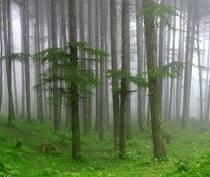 afternoon is reserver for shopping in the famous mall in Shimla. In the evening, proceed your journey to Delhi. On the arrival at Delhi and here ends the Shimla tour. Transportation by Non A/c car, including all parking, toll, driver allowance etc. Entry ticket if any, Lunch, telephone, laundry, or anything which is not mentioned above.